As Earth Day approaches we are reflecting on what we can do to protect our local environment. We probably all know someone in our life who is going above a beyond to make this world a better place for each of us. Someone who is enhancing the community in which we live. This is your chance to recognize them but nominating them to be a Hometown Hero! You can also nominate groups or small businesses. This is really an opportunity to recognize someone who has had an impact on your life and who fosters meaningful, long-term community awareness and action. The deadline for nominations is April 22nd. Nomination forms can be found on the Hometown Hero website. The prizes are excellent too. For individuals it is $10,000 ($5,000 to keep and $5,000 to an environmental organization), for groups it is $10,000 to support their work and for small businesses it is an all expense paid trip to a course/conference/workshop that focuses on the environment. 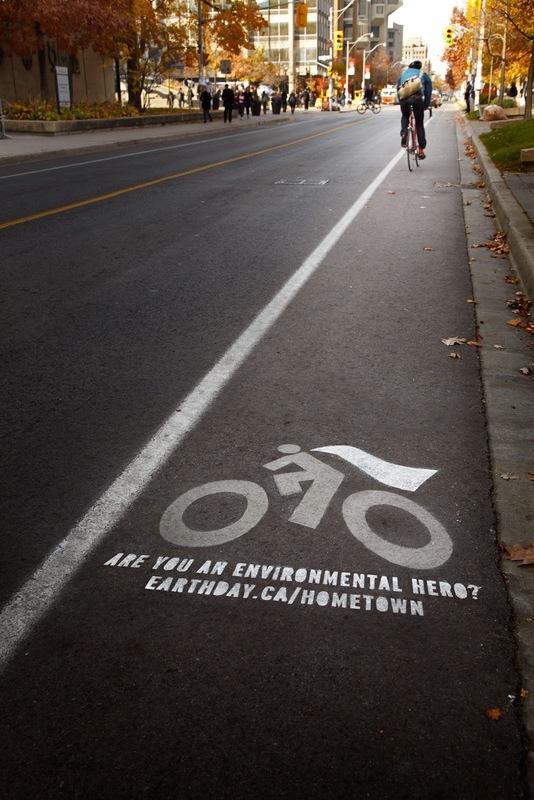 If you live in the Toronto area you may have already seen advertising for the Hometown Hero program. 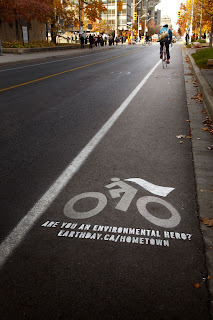 There are capes on the back of bus seats and stenciled capes on bike lane symbols. Do you wear a cape? Do you know someone who does? Nominate them today! This is a sweet idea! I'll have to give my nomination some thought...but I have already decided to award YOU a special blogger award. :) Stop by my blog to pick it up! www.mamabirdwhatstheword.blogspot.com.